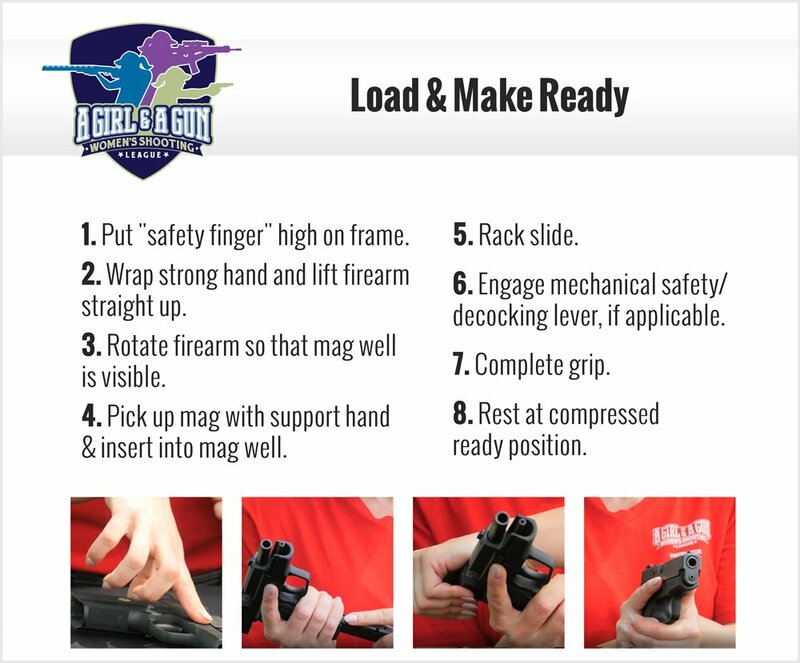 Load & Make Ready is the action of loading the firearm, chambering a round, and either coming to a ready position or holstering the firearm. Put “safety finger” high on frame. Wrap strong hand and lift firearm straight up. Rotate firearm so that mag well is visible. Pick up mag with support hand & insert into mag well. Engage mechanical safety/ decocking lever, if applicable. Rest at compressed ready position. From the compressed ready position, a shooter can double check her stance and grip before moving to the next step, which is pistol presentation to the target. 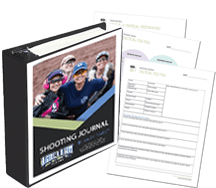 Foundational manipulation skills begin with the actions of safely loading and unloading a handgun. 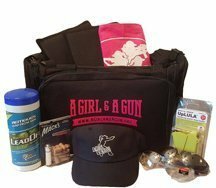 Often an experienced or trained shooter can be identified more from her clean and precise gun handling skills than by a perfect target.